Are you a fan of Olly Murs? Do you enjoy listening to his music? Have you followed his journey from X Factor runner-up to award winning pop star and popular TV presenter. If you think you know all about Olly Murs or would like to find out more, The Olly Murs Quiz Book is for you.Which American male singer was Olly’s role model whilst growing up? Which song did he sing when he auditioned for The X Factor in 2009? For how many weeks was Olly’s song ‘Thinking of Me’ in the top 10 in the UK single charts? 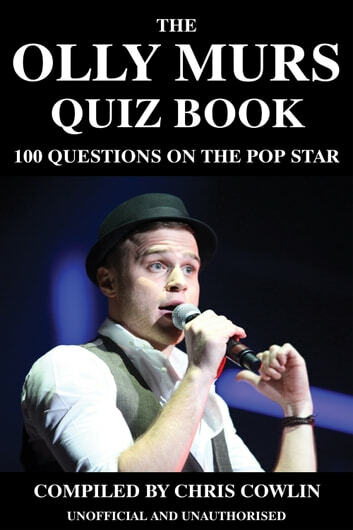 The answers to all these questions and more can be found in this exciting new quiz book.With 100 questions and fascinating facts all about Olly Murs, including many personal details, you are certain to learn something new about the man and his music. This is a must-have book for everyone who supported Olly during his time on The X Factor and all the many fans, old and young, who have watched him grow into a polished performer. The One Direction Quiz Book!